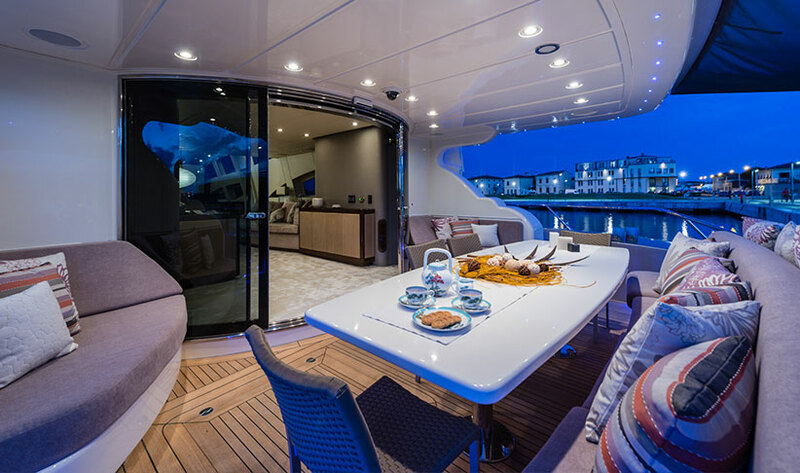 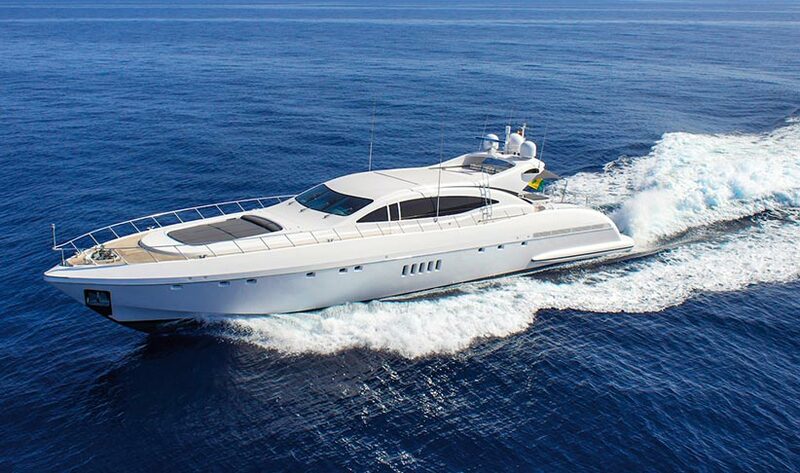 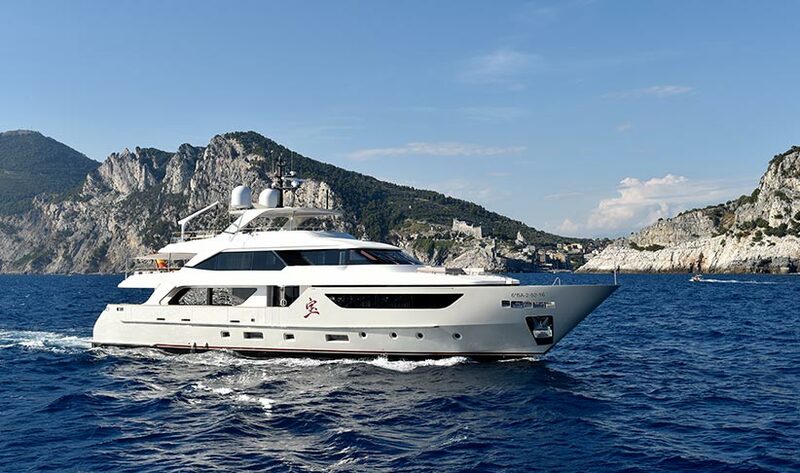 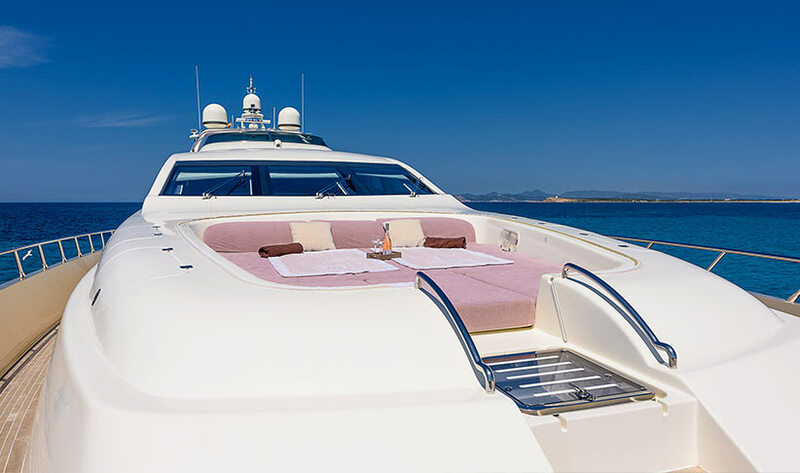 Built in 2004 with a complete refit in 2014 the Leopard 32 luxury super-yacht has a soft, relaxing atmosphere that greats you the moment you step onboard. 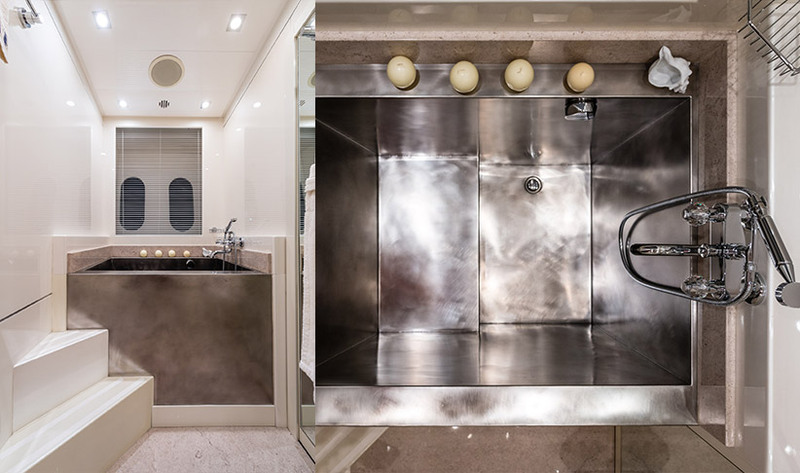 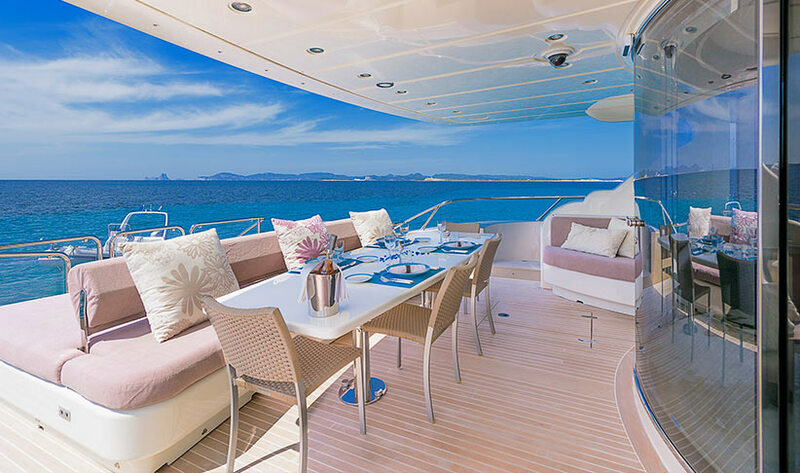 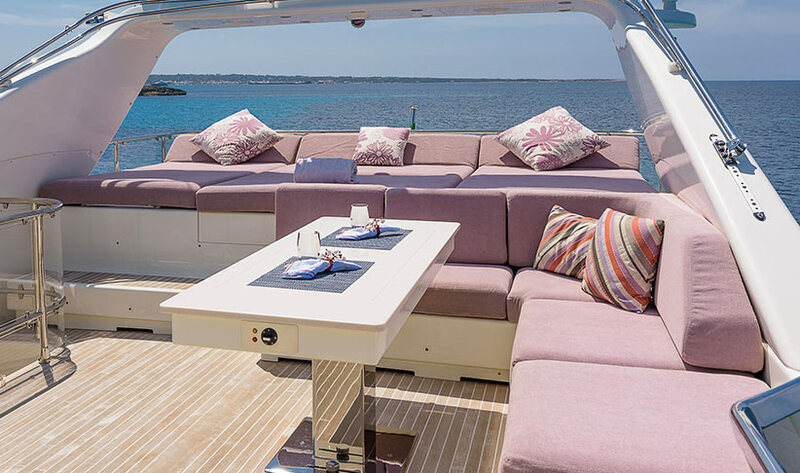 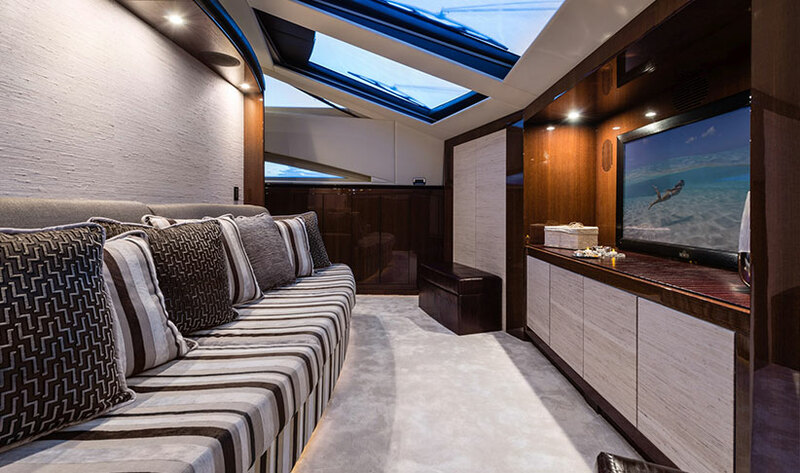 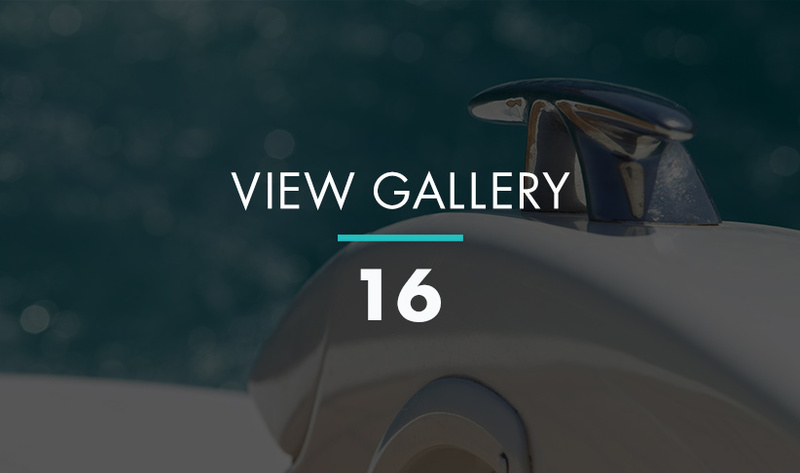 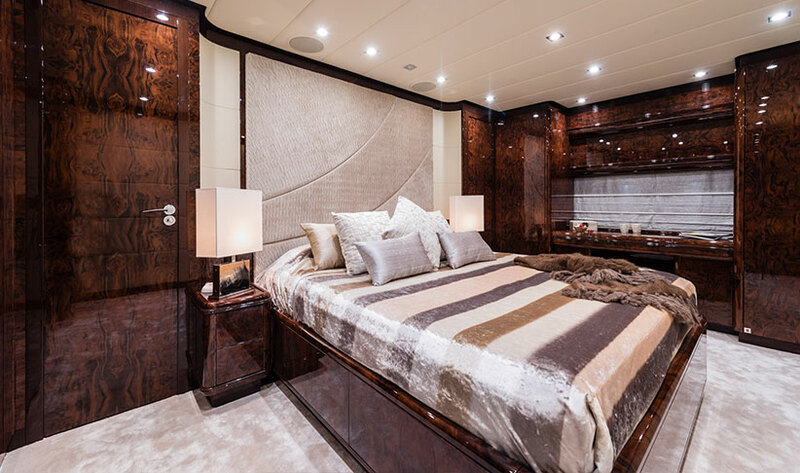 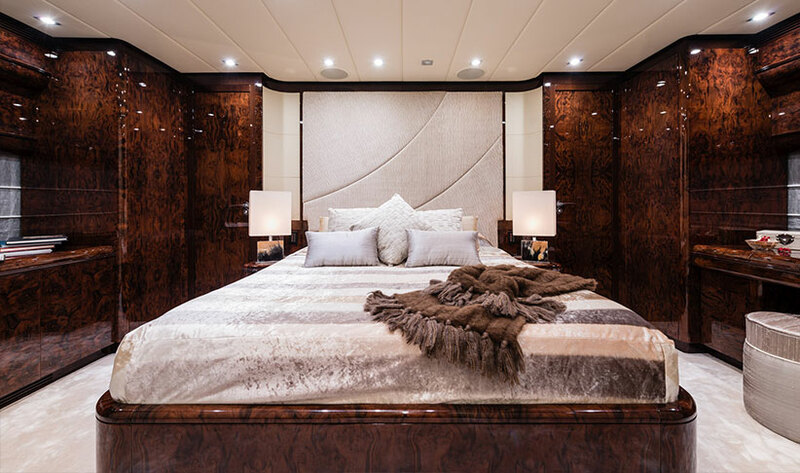 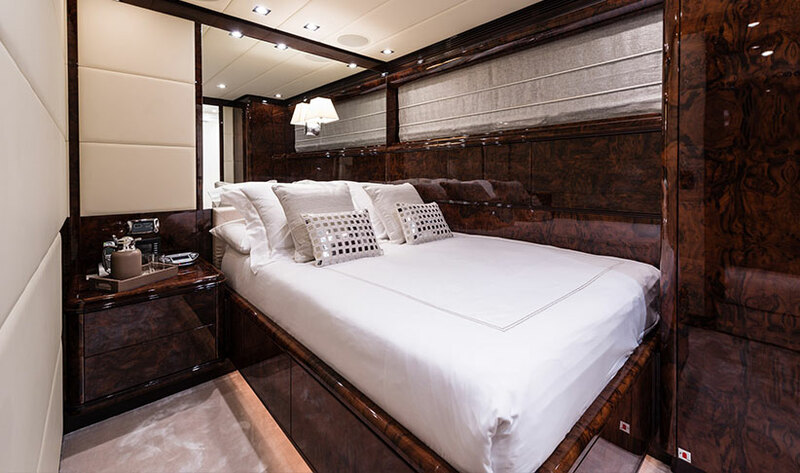 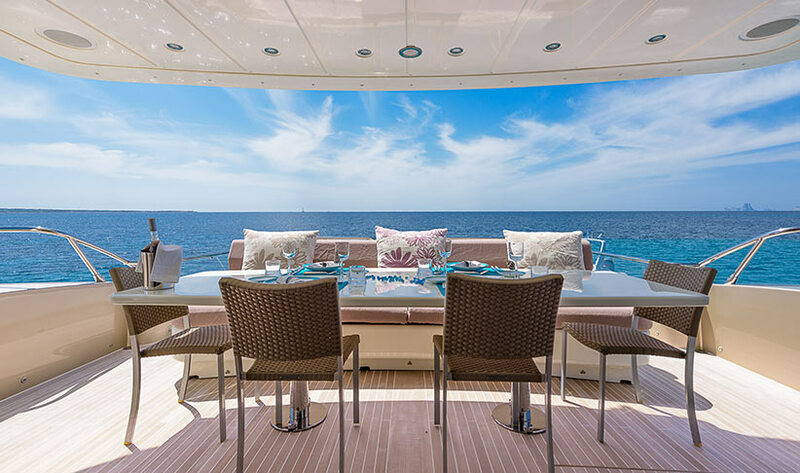 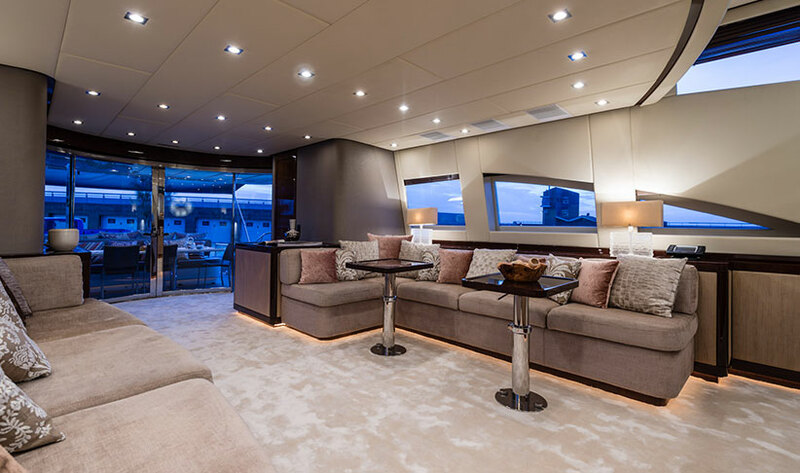 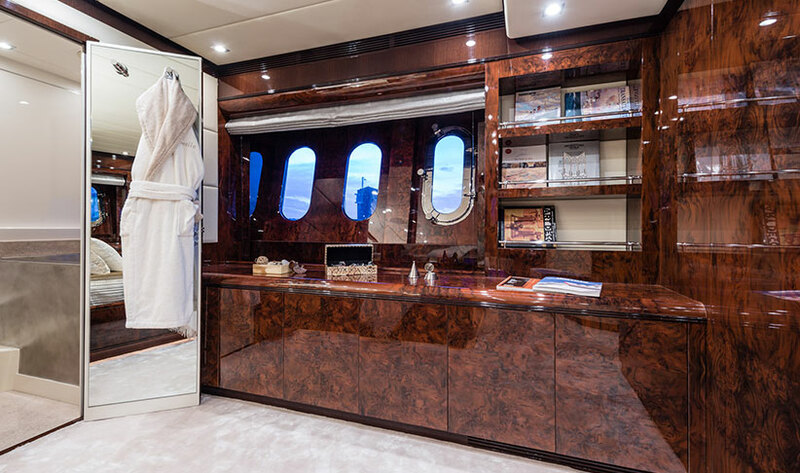 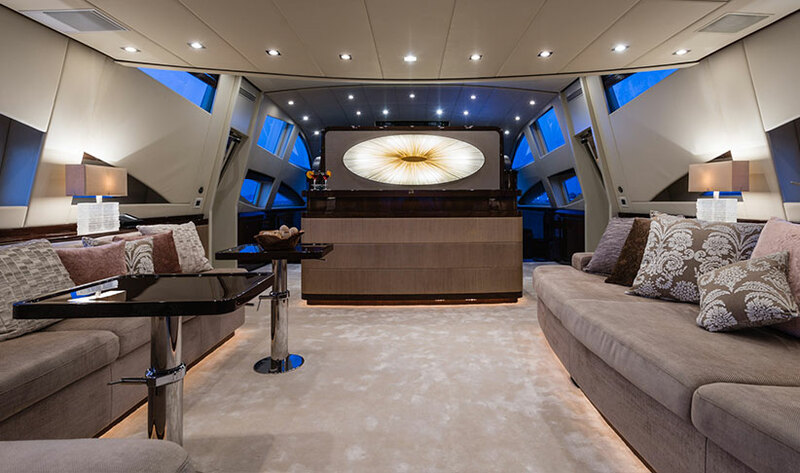 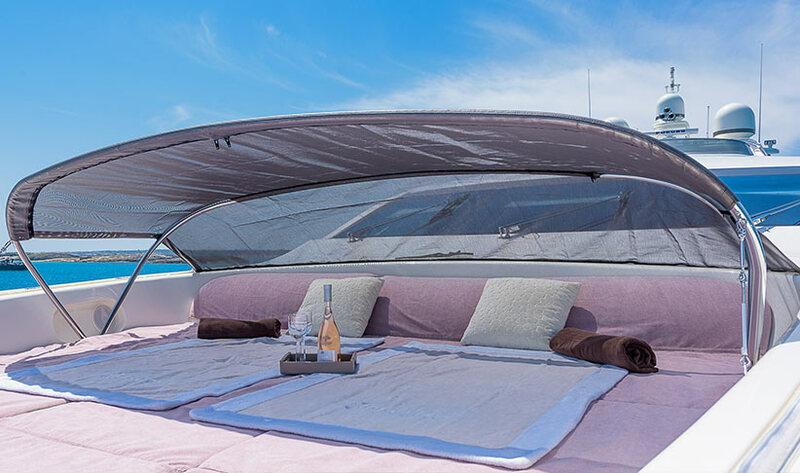 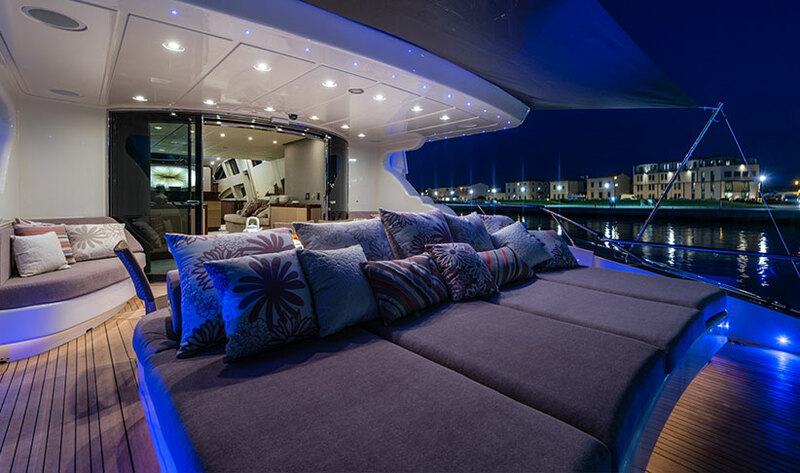 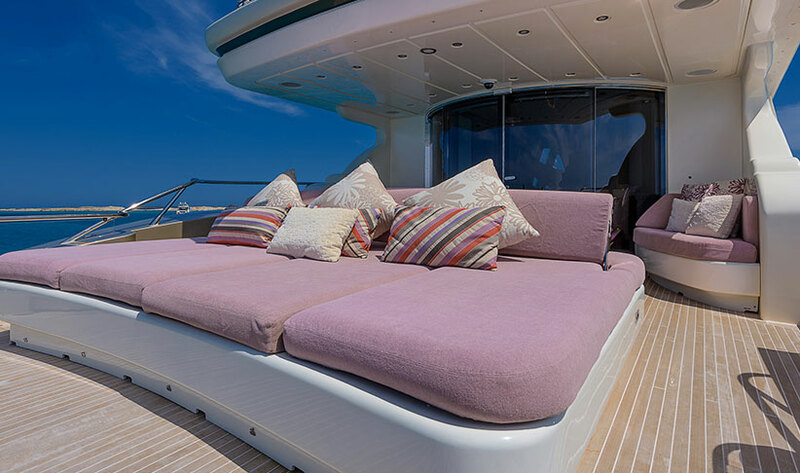 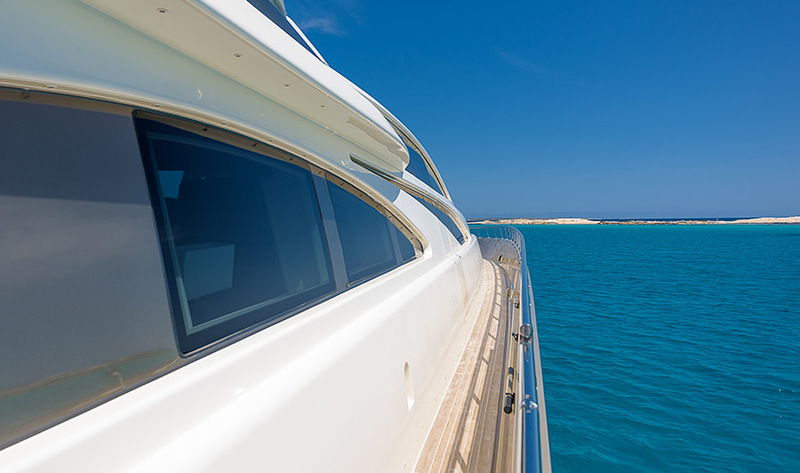 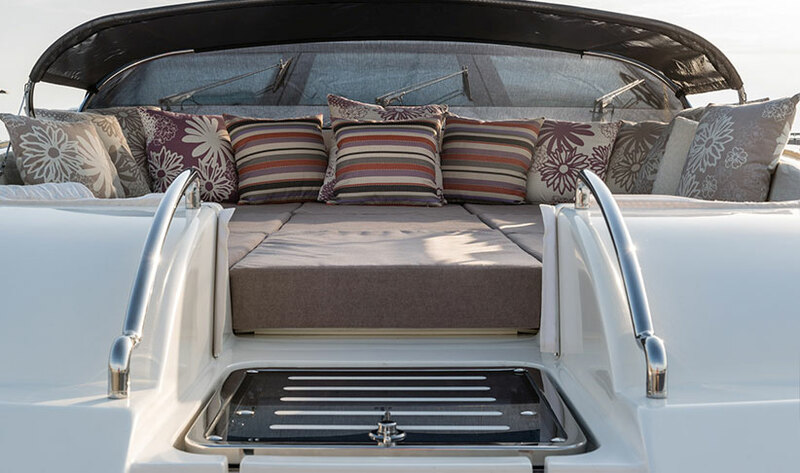 The custom-made wall paper and tactile finishes throughout along with the custom-made silky-bamboo soft carpet allow one to truly feel at home while you spend your days exploring and discovering the Balearic Islands abroad your super yacht. 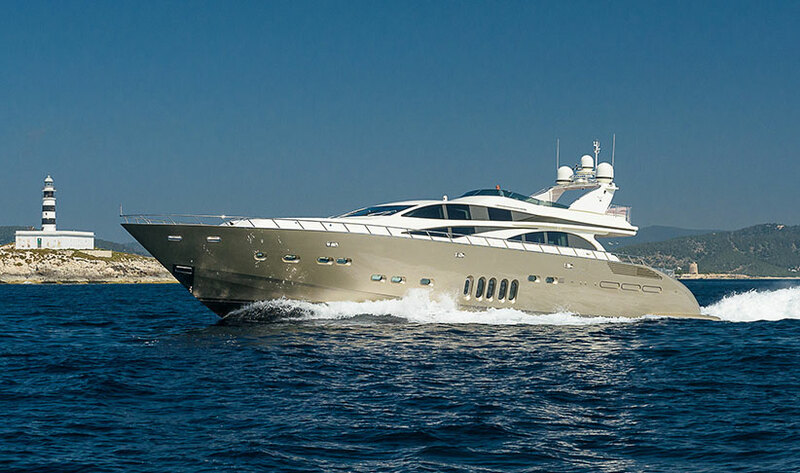 The Leopard 32m luxury yacht capable of reaching impressive top speeds of 40 knots, with her triple MTU 16V 2000 M92 diesel engines. 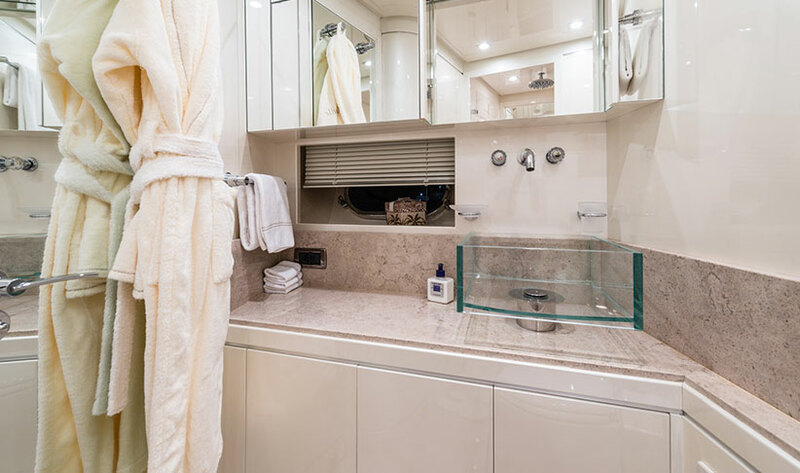 Accommodating up to eight charter guests in three double and one twin stateroom with a Pullman berth. 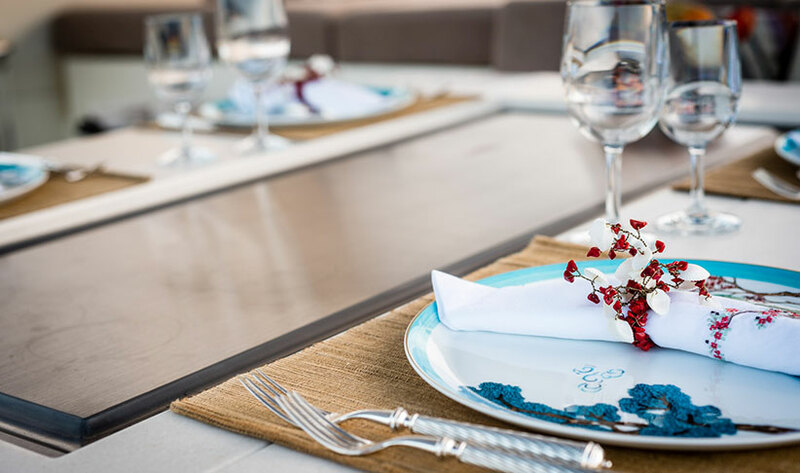 Guests are expertly looked after by an experienced professional crew of 4,who are there to ensure you enjoy the best of what Ibiza and Formentera have on offer. 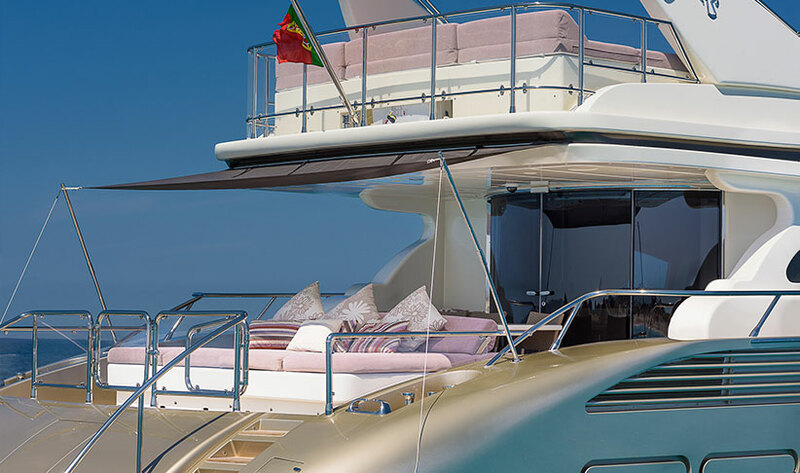 T+C: 50% deposit to be paid at the time of booking. 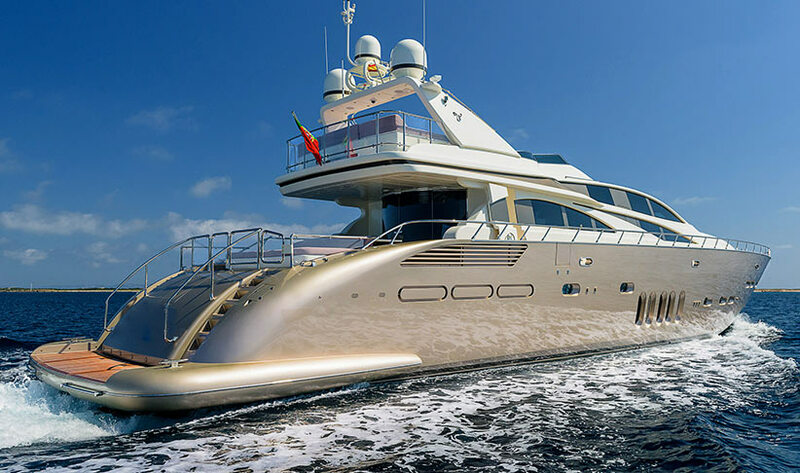 The remaining amount to be paid before departure. 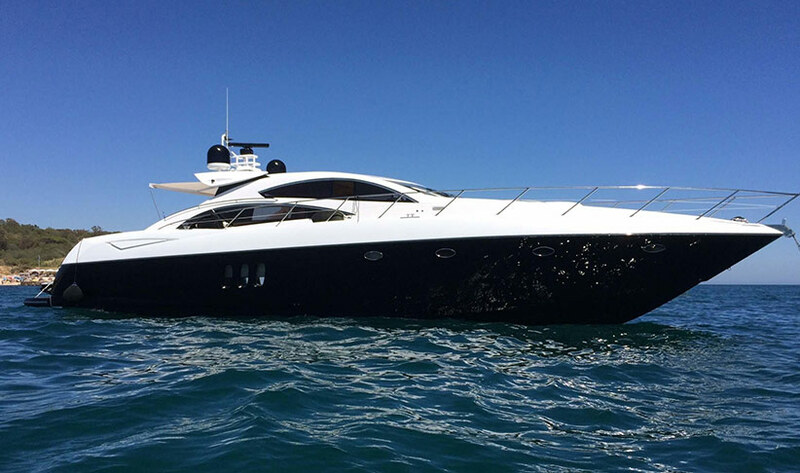 The price includes: Standard equipment; insurance and skipper. 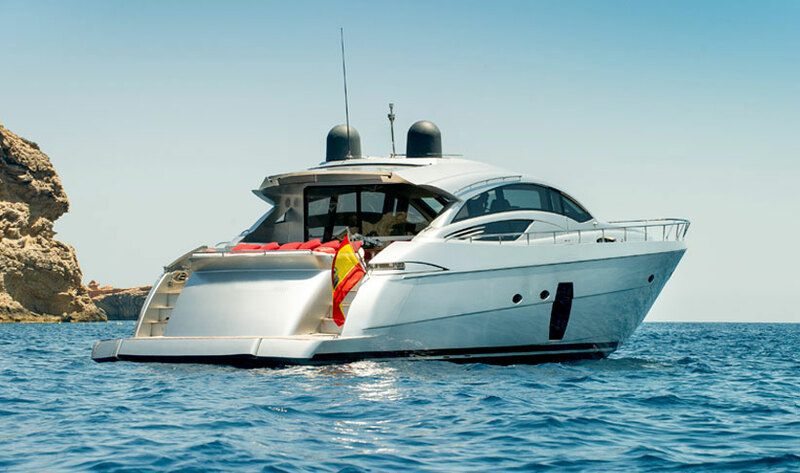 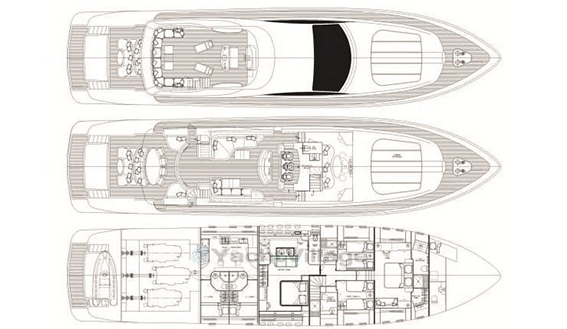 Fuel, provisions and mooring costs are not included in the price.